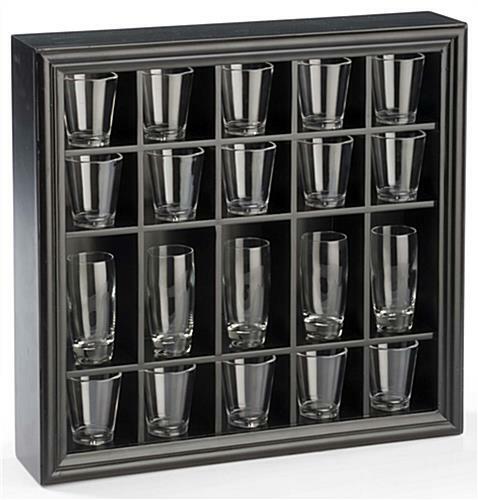 This shot glass holder is constructed of 6 mm thin MDF for a lightweight but sturdy presentation, with a sleek black finish. 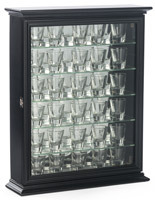 This display case for glassware has 20 cubbies for shooters and units can be hung in multiples for a vast collection of glassware. 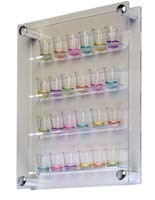 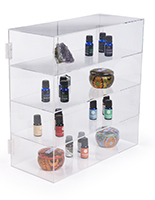 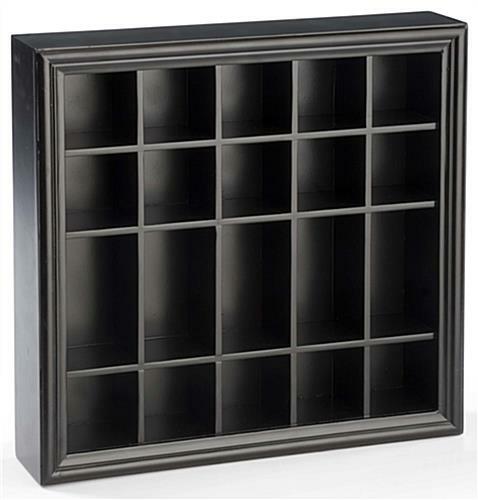 This shot glass holder that is a cabinets showcase can be purchased in bulk for huge savings. 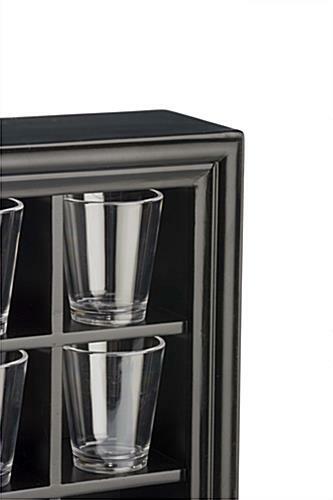 This display case, also known as a wall rack, has two triangular hooks on the back for wall hanging but can also rest on a countertop. 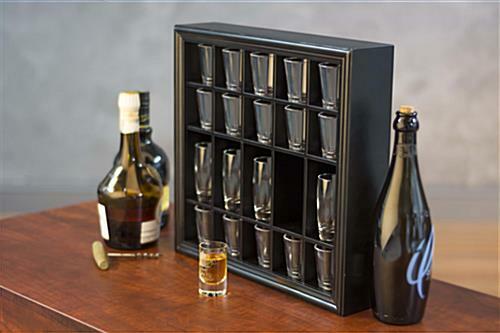 This shot glass holder that is a shadow box rack allows the user to add three ounce glasses into five large cubby holes. 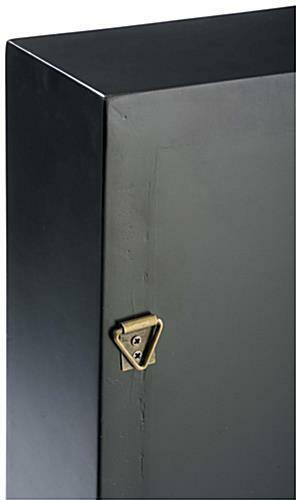 16.4" x 14.6" x 23.8"